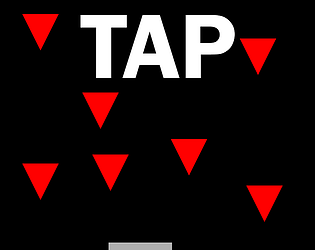 Interesting idea that your genre without mechanic basically made a speed reflex game. Thank you, i originally was about to make a tower defense game with out ai but I only had 2 hours left due to procrastinating so I made this. Thanks for the feed back, hopefully I will comeback to this idea and build on it. The game is decent however I have a few issues. Firstly, It's too simple. Try increasing the spawn rate of blocks or their speed. My other criticism is that music isn't core to the gameplay of a rythm game. What I mean is that if I were deaf, I'd see no difference between this and Rock band as opposed to how you'd really notice if someone ripped the shooting out of a FPS. Lastly, The moment I saw the game I really wanted a version where It's a rythm game but the songs are all terrible. I'm serious, put on your screechiest most annoying voice and go to town on a microphone for a solid 15 minutes and you have the game of the year. Thanks for the criticism, ill definitely attempt to stick with the theme in later game jams.